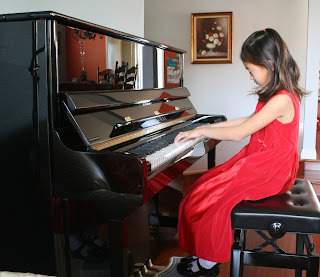 On February third, I had a piano recital. My two songs were Sonatina and Minuet in G minor. Sonatina was written by Ludwig van Beethoven and Minuet was written by Anna Magdalena Bach. 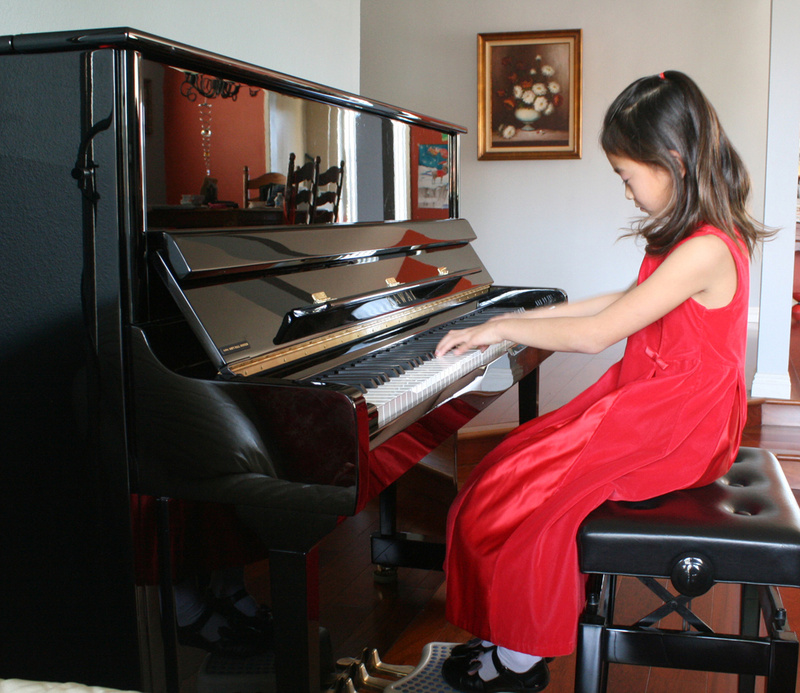 I didn't want to make a mistake, so I practiced at home like usual (except with my performance dress). Red is my favorite color. That's why I have a red dress. The red puffy dress was uncomfortable, but I had no other red dress that I liked. My shoes were black and I had white knee socks. Here is a video at the recital place. It was at a church and had all the elements that we need. As we all know, this is a piano recital so we obviously had a piano set up. I hope you enjoyed the video and reading the captions! Have you ever had any kind of recital? Do you think I made any mistake in the video? Do you know any of these songs? I think that someday you could be professional like Anna Magdalena Bach. You just need a little bit more practice. What song are you best at? Very nice job on your recital and I really like your choice of music. I really like the pieces you chose to play. In fact, I used to play both of those pieces when I was little. I don't think it matters if you made mistakes, but rather if you enjoyed the experience and if you were able to provide some entertainment to your audience. I think you definitely entertained and I hope you had a good time as well. What are you going to learn to play next? You play amazingly good! I have had a recital and I got a trophy for it. I liked how you were clam and took your time. I think you made no mistakes. No, I do not know the songs you just played. Did you get a trophy? How many years have you been playing the piano? Do you know the names of the songs that you just played?